Note: VAF member log-in is required to register for the conference. If you are not yet a member and wish to attend the conference, please go to http://www.vafweb.org/join to join the VAF. Base registration is required to receive the conference guidebook, attend the opening session and reception, take the tours, and attend the Saturday Papers Session; it is not required to register for the banquet on Saturday. Student rates are offered for all aspects of the conference. Conference headquarters is the Durham Convention Center, which is attached to the Durham Marriott, the conference hotel. Parking is available in the Durham Centre Garage on Morgan street, directly across from the convention center ($1/hour or $8/day). Remember to use the hashtag #VAFDurham on social media to share your conference experiences. 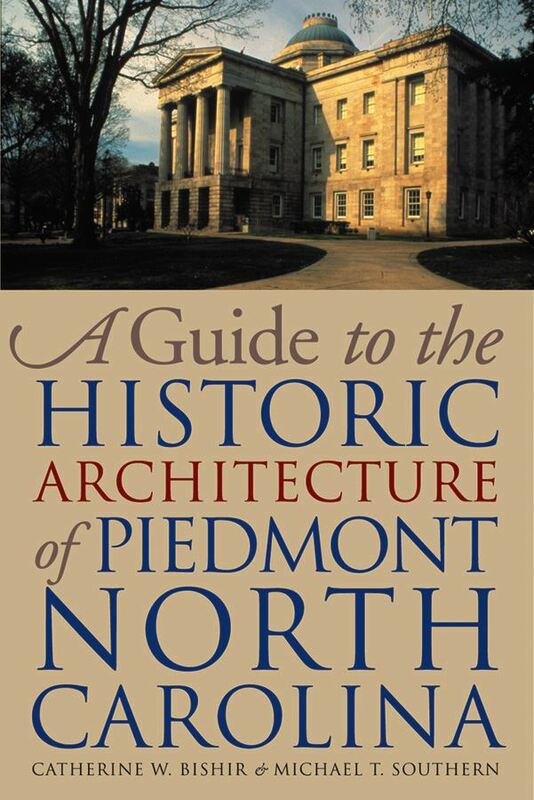 Thanks to the University of North Carolina Press for permission to draw upon material in Catherine W. Bishir and Michael T. Southern, A Guide to the Historic Architecture of Piedmont North Carolina (see below) for the VAF 2016 Tour Guides. The published guidebook and companion volumes are available through the links below. Please Note: Due to copyright material permitted for use in these guidebooks they are allowed to be kept online for VAF members only, please respect this limitation and do not post publicly. VAF Board Meeting: 8:30 a.m. - 5:00 p.m.,Temple Building Conference Room, 302 W. Main St.
Pre-Conference Tours: 3:30 p.m. - 5:00 p.m., depart from Durham Farmer's Market, 501 Foster St.
Preservation Durham is offering two 90-minute walking tours. Using oral histories and photographs, "Durham's Tobacco History" illuminates the story of tobacco and the people who worked in the industry as you view the massive and often spectacular brick buildings of the former factory complexes adjacent to Durham's central business district. "Architecture and the Urban Landscape" tours downtown Durham's landmark buildings, many designed by nationally known architects such as Milburn and Heister, Bertrand E. Taylor, Edward F. Sibbert, and Shreve, Lamb, and Harmon. Fine examples of the Art Deco, Neoclassical Revival, and post World War II Modern styles are featured. Registration for a pre-conference walking tour is made by contacting Preservation Durham at 919-682-3036. The cost is $15.00, pre-paid by credit card. Call early, as these tours are limited to 15 participants and are expected to fill up quickly. Catherine W. Bishir will provide an overview of the history and architecture of the areas we will visit. 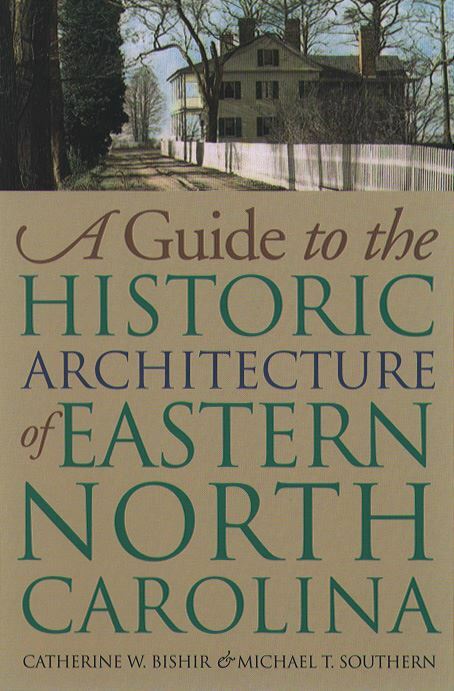 Within the context of the Piedmont landscape's diverse settlement patterns and transportation networks (or lack thereof), she will highlight the interplay of resilient traditions and powerful social and economic changes, including the profound shifts since the Vernacular Architecture Forum last met in North Carolina in 1982. From 1971 to 2001 Bishir held various positions at the North Carolina State Historic Preservation Office. She is currently curator in architectural special collections at North Carolina State University Libraries. 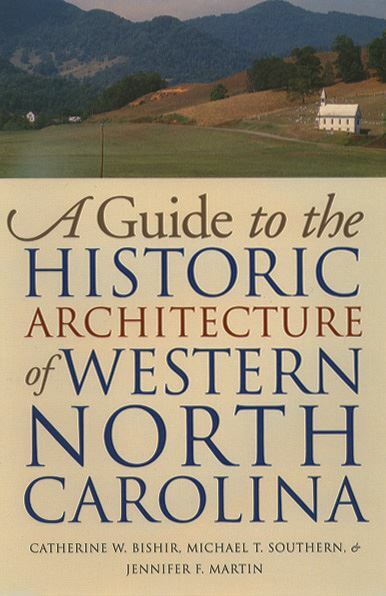 Bishir is author or co-author of numerous prize-winning articles and books on North Carolina architecture and history as well as the ongoing biographical dictionary website, ncarchitects.lib.ncsu.edu. She is a founding member and past president of the Vernacular Architecture Forum. VAF's Catherine W. Bishir Prize was established in 2011 to honor annually the outstanding scholarly article in vernacular architecture studies. James Fletcher "Jim" Goodmon is the president and CEO of Capitol Broadcasting Company, founded in Raleigh by his grandfather A. J. Fletcher in 1937. During his 45-year career Goodmon has guided the explosive growth of CBC’s broadcast holdings and led the company’s expansion into satellite communications, new media, real estate and professional sports. Goodmon led CBC and its stations into the digital age, gaining industry-wide recognition as a visionary whose stations constantly pushed the boundaries of technology. Goodmon’s interests go well beyond broadcasting. Under his leadership, CBC has expanded into real estate, developing the American Tobacco Historic District in Durham and turning it into an award-winning example of entrepreneurial restoration. Goodmon has always loved baseball, and in the early ‘90s CBC took over the Durham Bulls franchise. Under CBC ownership the Bulls have won championships, risen to Triple-A status, and set attendance records. Conference Check-In: Durham Convention Center, 8:00 - 9:00 a.m. and 5:00 - 6:00 p.m.
"Bright Leaf Culture, Thomas Day, and the Built Environment of Caswell County"
This tour of the rural piedmont includes little-known antebellum towns, plantation houses, slave quarters, outsider art, and opportunities to study the remarkable furniture and woodwork of free black cabinetmaker Thomas Day, North Carolina’s leading antebellum artisan. The first stop will be the Pope Family Farm in Orange County, with over 20 outbuildings reflecting late 19th and 20th century tobacco cultivation. A mid-morning treat will be a visit to “White Rock Village” – some 25 miniature stone buildings that incorporate found objects created by folk artist Henry Warren in the 60s and 70s. From there we drive to the Virginia border for a rare exploration of the once-busy river town of Milton, with a town plan and architectural features common to Virginia and now a remote outpost of 166 inhabitants. Among the eight antebellum buildings, rarely open to the public, on our walking tour are elegant Federal and Greek Revival-style houses, two churches, and the Milton State Bank. A highlight will be the Thomas Day Museum, built in 1818 as a tavern and later the residence and shop of Day. Milton offers us exemplary brickwork, unusual floor plans, stylish woodwork by Day and other artisans, and urban outbuildings, including two likely slave quarters. We will have a lunch buffet at Millie’s Pizza in the picturesque 1880s Commercial Row. In the afternoon the tour heads to the Holderness House and the Yancey-Womack House, two plantation houses with Day’s bold interior Greek Revival-style woodwork including sometimes idiosyncratic forms that may reflect his African American aesthetic. Outbuildings include a slave quarter, an antebellum law office, the oldest known tobacco packing, ordering and stripping barn in the state, and a 1963 bomb shelter. At the nearby county seat of Yanceyville, our walking tour includes the eclectic antebellum courthouse with its grisly Reconstruction history, the 1908 jail, and a main street of large and small brick and frame houses and an antebellum store. The tour ends with a traditional barbecue dinner at Saxapahaw Mill and Village on the Haw River in southern Alamance County. Considered part of the “back country” in the colonial period, the rolling countryside of Alamance and Guilford counties was settled in the 18th century by a mosaic of British Quakers, Scotch-Irish Presbyterians, and Lutheran and Reformed Germans chiefly from the mid-Atlantic region, all of whom established congregations by the 1750s that endure today in close proximity. In the early 19th century descendants of these groups became leaders in the state’s nascent textile industry, and the arrival of the North Carolina Railroad in the 1850s bolstered further industrial development. Our tour bypasses now heavily urbanized areas, heading west from Durham and Chapel Hill along the pastoral Old Greensboro Road to Quaker country around Snow Camp in southern Alamance, with a stop at West Grove Friends Meeting (1915). We visit Old Brick German Reformed Church (1813-1840) in eastern Guilford, and then continue to the old Quaker community of Jamestown in southwestern Guilford, which retains the principal concentration of mid-Atlantic influenced early 19th Quaker architecture in the state. After lunch at High Point City Lake Park, site of the Quaker Friends Meeting House and Richard Mendenhall Store, we loop back eastward to Palmer Memorial Institute, an early 20th century finishing school for African Americans in eastern Guilford County, and continue to Hawfields Presbyterian Church (1852-55) in eastern Alamance County. Along the way we will drive by the rural textile mill villages of Alamance and Bellemont on Big Alamance Creek. The tour ends with a traditional barbecue dinner at Saxapahaw Mill and Village on the Haw River in southern Alamance County. ALL-DAY BUS TOURS depart from the Durham Marriott at 8:30 and 9:00 a.m. and return approximately 6:00 p.m. Both tours include continental breakfast at the Durham Convention Center and lunch. (A la carte cost is $60.) Dinner on your own is an opportunity to find out why Durham has a reputation as a foodie town. Information about dining and entertainment in downtown Durham is coming soon. A snapshot of Piedmont North Carolina’s development from the late 18th century through the mid-20th century will be provided by this tour examining sites in rural Durham County before moving into the city of Durham to visit a variety of neighborhoods that emerged during the late 19th and early 20th centuries. The tour will begin at Horton Grove, part of the vast Stagville plantation, where we’ll see a row of slave houses and the massive “Great Barn,” among the most imposing antebellum agricultural buildings still standing in North Carolina, before traveling a short distance to see the original plantation seat, built in two stages (ca. 1787 and 1799). The rest of the morning will be spent at the Umstead Farm, which epitomizes two prevailing components of the rural Piedmont landscape of the late 19th century and much of the 20th – the rural post office/store and the small to medium sized farmstead. Mid-day we will be at Russell School, perhaps the best preserved of the state’s hundreds of Rosenwald schools built for African Americans. Here, a VAF tradition will be renewed with lunch served by the ladies of neighboring Cain’s Chapel Baptist Church. The afternoon will be rounded out with visits to neighborhoods in the city, including the Golden Belt textile factory and mill village; the Holloway Street area, a vestige of what was once Durham’s most prestigious residential sector; and the southern reaches of Hayti, the heart of the city’s thriving African American community during the early 20th century. Altogether, the tour sites offer a glimpse of the complex and shifting relationships among blacks and whites as the region moved from a strictly agrarian economy to one based on the tobacco and cotton industries. Born of the railroad and tobacco manufacturing, Durham moved rapidly through phases of urban development, from a whistle stop of fewer than 200 people in 1860 to a New South tobacco boom town by 1880 to a city of substantial institutions and imposing architecture in the early 20th century. Today Durham, now a city of some 250,000 and promoted as “The City of Medicine,” is experiencing another boom period marked by both revitalization of its historic buildings and new construction. In contrast to some North Carolina cities where mixed uses, races, and classes of the 19th century gave way to more and more segregated zones in the 20th century, in Durham much of the sorting out of uses, races, and classes reflected variations in the hilly terrain, with the “better” uses occupying the higher elevations and others often quite nearby on lower ground. By focusing on several neighborhoods as well as factory complexes and university campuses, this tour will explore the rise of the city’s industrial landscape that simultaneously produced company-owned villages, neighborhoods built for a range of white social classes, and stylish African American enclaves. Lunch in the warehouse district will provide an opportunity to visit the city's oldest surviving tobacco warehouse, a ca. 1900 mill village, and a mixed use neighborhood that includes Streamline Art Moderne buildings and the ball park featured in the movie "Bull Durham." Having experienced dramatic changes over the last 70 years, these areas tell a complicated story that intertwines the city's simultaneous striving for civil rights and prosperity. Continental Breakfast: Durham Convention Center, 7:00 - 9:00 a.m.
Durham Armory, 220 Foster St., 6:30 - 11:00 p.m.
Dinner of traditional southern fare, VAF awards ceremony, and dancing to live music provided by Mel Melton and the Wicked Mojos with special guest John Dee Holeman. Mel is a nationally recognized blues harpist and Mr. Holeman is a renowned traditional piedmont blues musician still going strong at 86. "The Research Triangle: High-Tech Suburbia in the New South"
This tour departs from the Durham Marriott at 9:30 a.m. and returns at approximately 2:30 p.m. The cost of the tour is $55 and includes lunch and bus transportation. Base registration is not required for this tour. For many, North Carolina may evoke Mayberry and textile mills, but this tour provides a fresh and different take on the state’s built environment. It offers a rare opportunity to explore a historic example of mid-century modernist architecture, as well as a view into the home life of suburbanites who came to work in North Carolina’s Research Triangle Park (RTP), beginning in the early 1960s. The tour will begin at the Elion-Hitchings Building, a landmark structure built by pharmaceutical firm Burroughs-Wellcome in 1971. The building has been compared to everything from a honeycomb to a spaceship, representing the aesthetic ambitions of the information economy in its infancy. The tour then visits the National Humanities Center before traveling to nearby Parkwood, an award-winning suburb of split-levels and ranch houses founded in 1961 to house RTP workers. We will stop by Parkwood’s original shopping center (now home to a masjid and Islamic school) before exploring several homes inhabited by long-time neighborhood residents. Finally, George Smart of North Carolina Modernist Homes will welcome participants into his striking Parkwood home built in 2010. The tour bus will drop participants at the Raleigh-Durham airport on its way back to the conference hotel. "Behind the Scenes at Old Salem"
This tour is outside the Durham area but being made available for those who weren't able to make the second VAF Conference in 1982! About 80 minute drive due west on Interstate 40 is Old Salem, a restored colonial Moravian Utopian community of about 80 buildings. This year is the 250th anniversary of the founding of Salem, a National Historic Landmark district since 1966. The NHL is currently under review for expansion which may be approved by the time of the tour, and the current approach by the NPS toward eligibility of reconstructions in a museum setting will be discussed. A private tour will be led by Director of Architecture, David Bergstone, through the historic district and into the tour buildings, including some currently under restoration to examine some of the Germanic construction details. This tour will allow access to the non-public spaces not typically available. Lunch is available at two locations in the district, anyone signing up will be provided information to arrange for lunch. The tour will start at 9:30 and go until noon. The cost is $10. Transportation is not provided to the site. Registrants will be provided information to help organize carpools to Salem and returning to the airport or Durham hotel. Refund Policy: Registration cancellations received before April 30, 2016, will be refunded in full, less a $50 administrative fee. Cancellations received from April 30, 2016, to May 13, 2016, will be refunded 50 percent. There will be no refunds after May 13, 2016.